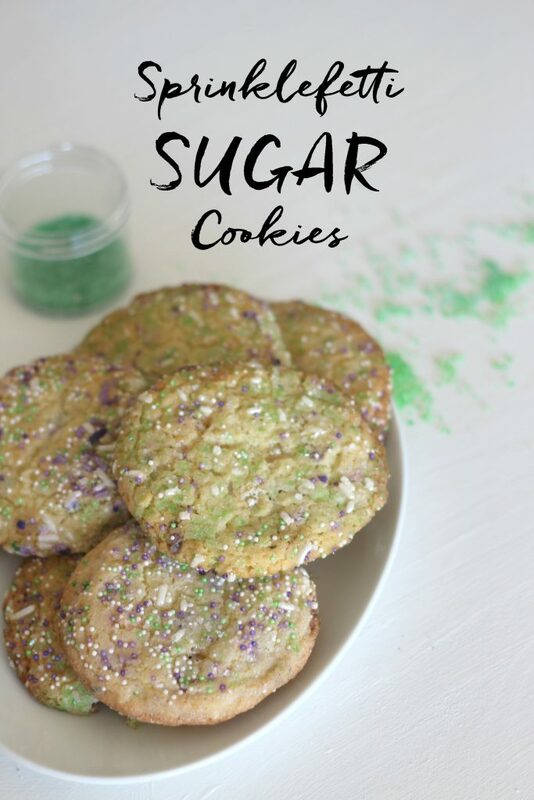 Easy to make sugar cookie recipe with crispy edges and soft and chewy middles, all covered with sprinkles! There are two kinds of people in my family, those that like their cookies with chocolate, and those that don’t. The chocolate lovers tend to get cookies made for them more often than the sugar cookie lovers. This was brought to my attention, and I felt kind of bad. So I went on a hunt to create a sugar cookie like how I remember them as a kid from our local bakery. These cookies are buttery and and sweet, but not too sweet. 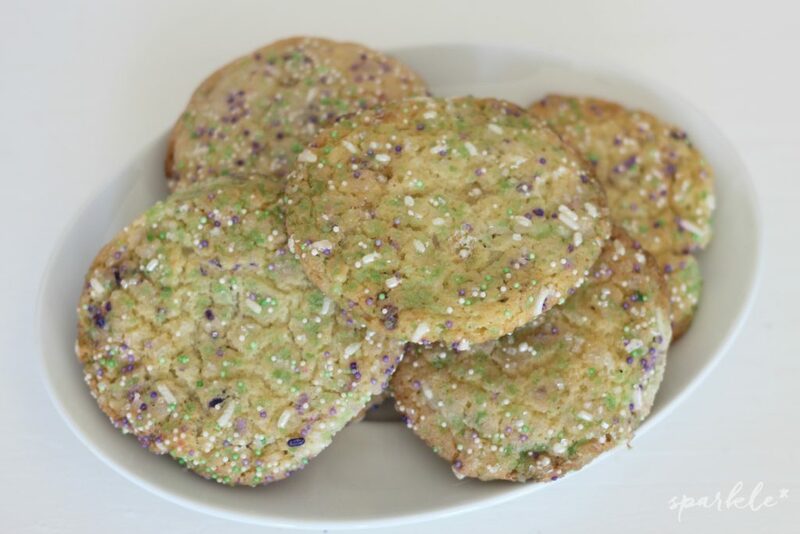 The sugar and sprinkles on the outside add just the right amount of sweetness. The kid that prefers the sugar cookies always asks why we don’t get the colorful sprinkled cake mix at the store. My response is always that I really prefer to make things from scratch, and we can make something similar at home. Of course, we never make it. 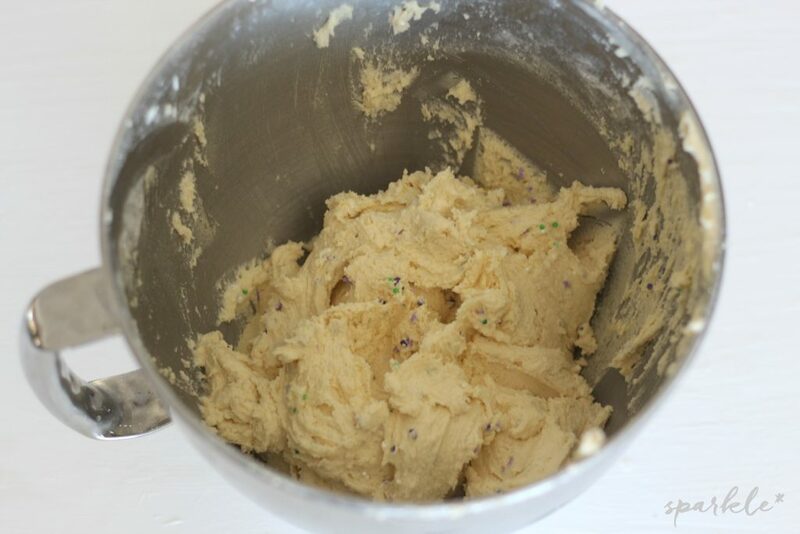 So with these cookies, we threw in sprinkles into the cookie dough, for fun little bursts of color. I just love the color combination of these sprinkles. The green and purple are what remains from this Chocolate Cookie Ice Cream Sandwiches. They are from Bakers Party Shop, who has pages and pages of fun sprinkles in all different shapes and colors! I won the white sprinklefetti in an Instagram contest, and I’m just in love with the way they look. How amazing would they be on cupcakes?! You should also check out these super cool sprinkles! 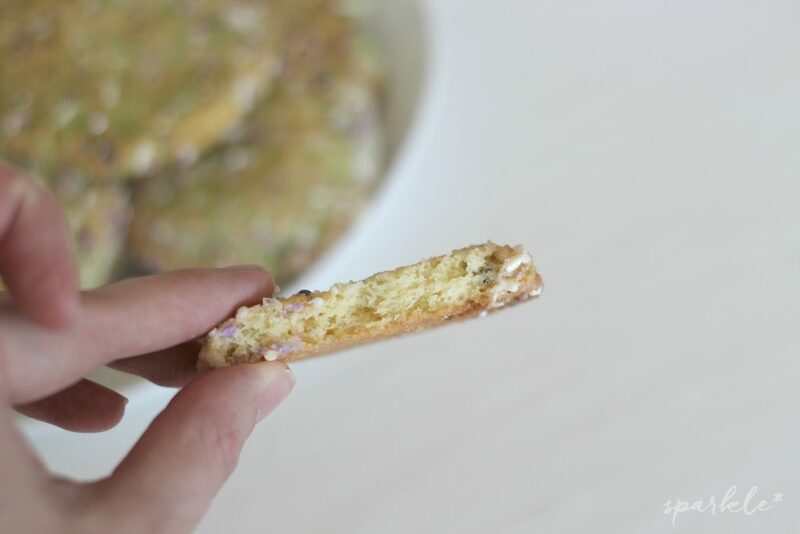 These cookies turn out perfectly with crisp edges and chewy centers. Just look at that cookie! They are just as good as our other favorite cookie. The ranger cookie with chocolate chips and crunchy cereal flakes. Yep, those one’s are for the chocolate lovers in the family. Cream butter, vanilla and sugar in a bowl for 2 -3 minutes until fluffy. Add room temperature eggs, one at a time. In a separate bowl, sift together the dry ingredients. Add flour mixture to in three parts to wet ingredients and mix until flour mixture disappears. Set out bowls of sprinkles, or if not using sprinkles, a bowl of sugar. 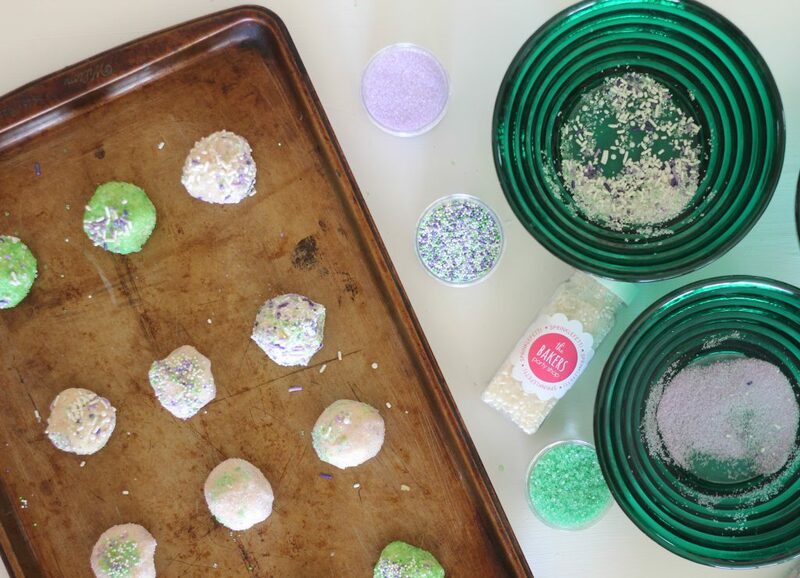 Roll dough in to 1 1/2 inch balls, then roll in the sprinkles or sugar. Bake for 8-9 minutes until edges are golden. Cool on rack. Store covered. Pretty and delicious! I like the addition of the cream of tartar to them. I will have to give it a try. These are awesome and love to make these with my girl. Thank you for sharing at Dishing it and Digging it link party.